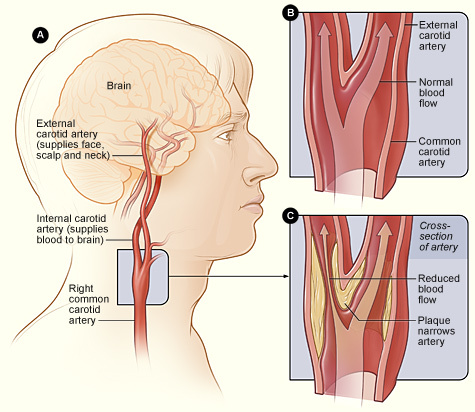 New evidence suggesting that carotid occlusion is not actually associated with a high risk for stroke. The inference that many carotid stenting or endarterectomy procedures for asymptomatic patients therefore may do more harm than good is made in a new study. Carotid occlusion is not the catastrophe that it is widely perceived to be. Since intensive medical therapy has been introduced, the risk of occlusion has dropped dramatically and even if it does occur, the stroke risk is very low. So trying to prevent carotid occlusion by surgery or stenting, which both carry significant risks themselves, is not a valid approach conclude the authors of the study. Consumption of an unhealthy Western diet characterized by meat, hamburgers, chips, and soft drinks, may reduce the volume of the left hippocampus, whereas a healthy diet of fresh vegetables and fish may increase hippocampal volume. "These findings suggest the potential for dietary interventions to promote hippocampal health, decrease age-related atrophy, and prevent negative health outcomes associated with hippocampal atrophy," they add. What's Chiropractic Research Worth to You? The Palmer Center for Chiropractic Research (PCCR), in celebration of its 20th anniversary, has announced it is spearheading a fundraising campaign to support chiropractic research. According to Dr. Christine Goertz, vice chancellor for research & health policy at Palmer College, "We are hoping to raise $400K a year for chiropractic research by asking 20,000 DCs to contribute $20 (per year) towards our research efforts." An expert panel has developed 10 evidence-based recommendations for exercise among patients with ankylosing spondylitis (AS), an inflammatory type of arthritis. Is Migraine a Lipid Disorder? 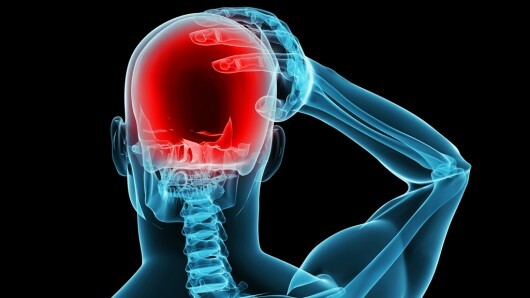 New research has suggested that migraine may be associated with irregularities in the metabolism of certain lipids, opening up new avenues for research into possible treatments and biomarkers for the condition. The research focused on a group of bioactive lipids known as sphingolipids, which are critical components of cell membranes and also play a role in regulating energy homeostasis, apoptosis, and inflammation. Neurologic disorders that are the result of severe deficiencies in enzymes that regulate sphingolipid metabolism have long been described (eg, Gaucher disease), and recent studies have suggested that even subtle changes of sphingolipid balance may be involved in dementia, multiple sclerosis, obesity, and pain. Now they also are reporting a study showing changes in sphingolipid levels in patients with migraine, implicating in particular two sphingolipid subtypes: ceramide and sphingomyelin. A noninvasive wearable nerve stimulator improves pain to the point of needing less analgesia in patients with neuropathy, arthritis, and other common forms of chronic pain, a new study shows. "Our data suggest, and this is mimicked anecdotally, that this device works for about eight out of 10 people," said Shai Gozani, MD, PhD, president and chief executive officer, NeuroMetrix, manufacturer of the device. The device (Quell, NeuroMetrix) was approved for use by the US Food and Drug Administration in 2014. The stimulator, inserted into a slim, lightweight band and worn on the upper calf, stimulates sensory nerves, which carry neural pulses to the brain. The pulses trigger release of endogenous opioids within the spinal cord. "It elevates endogenous opioids, so it's actually operating through some of the same pathways as opioids," explained Dr Gozani. "But because it's all endogenous, it's very precise and doesn't have some of the negative side effects of prescription opioids such as addiction or euphoria; this is purely for pain control." The purpose of this preliminary study was to investigate changes in shoulder pain, disability, and perceived level of recovery after 2 sessions of upper thoracic and upper rib high-velocity low-amplitude (HVLA) thrust manipulation in patients with shoulder pain secondary to second and third rib syndrome. Study participants showed significant reductions in pain and disability and improvement in perceived level of recovery. 14% say they saw a DC in the last year. Data from 2012 put this at 8% data from 1997 had it at 6%. 25% thought DCs were dangerous. Palmer plans to repeat this study for the next two years. All clinicians of today know that scientific evidence is the base on which clinical practice should rest. However, this is not always easy, in particular in those disciplines, where the evidence is scarce. Although the last decades have brought an impressive production of research that is of interest to chiropractors, there are still many areas such as diagnosis, prognosis, choice of treatment, and management that have not been subjected to extensive scrutiny. This paper presents a simple system consisting of three questions will help clinicians deal with some of the complexities of clinical practice, in particular what to do when clear clinical evidence is lacking. Question 1 asks: are there objectively tested facts to support the concept? Question 2: are the concepts that form the basis for this clinical act or decision based on scientifically acceptable concepts? And question three; is the concept based on long-term and widely accepted experience? 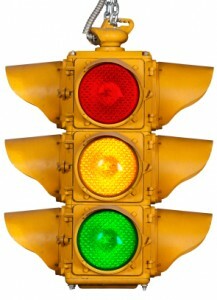 This method that we call the "Traffic Light System" can be applied to most clinical processes. Do Participants With Low Back Pain Who Respond to Spinal Manipulative Therapy Differ from others? A study was conducted to determine whether patients with low back pain (LBP) who respond to spinal manipulative therapy (SMT) differ biomechanically from nonresponders, untreated controls or asymptomatic controls. Studies suggest that SMT responders demonstrate significant changes in spinal stiffness, muscle contraction, and disc diffusion. Unfortunately, the significance of these observations remains uncertain given methodological differences between studies including a lack of controls. The American College of Rheumatology estimates the US prevalence of osteoarthritis to be 27 million among those older than 25 years, with approximately 1.8 million arthroplasty procedures performed each year worldwide. Total knee or hip arthroplasty (TKA or THA) for osteoarthritis is linked to substantially increased risk for myocardial infarction (MI) in the immediate postoperative period, according to a cohort study. "Our findings provide the first general population-based evidence that osteoarthritis patients who have total knee or total hip replacement surgery are at increased risk for heart attack in the immediate postoperative period," the senior author said. In middle-aged patients with well-controlled hypertension, those who took a long midday nap appeared to have better blood-pressure control that their peers a new study reports. Specifically, patients who slept 60 minutes, typically after a midday meal, had an average 24-hour blood-pressure reading that was 4 mm Hg lower, and while they slept at night, they had a 2% greater dip in blood pressure. Moreover, they tended to use fewer blood-pressure medications. In the hierarchy of the workplace, it is those in the middle, not necessarily the bottom, particularly supervisors, who show the highest levels of anxiety and, to a lesser degree, depression, new research suggests. Awareness of memory impairment starts deteriorating about 2.6 years before a diagnosis of dementia, a new study shows. 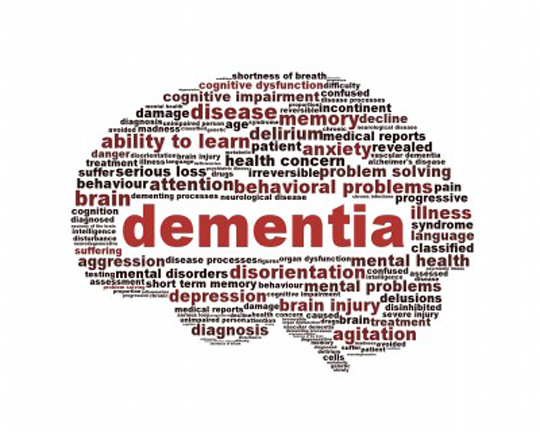 Researchers also found that this deterioration is a manifestation of dementia-related pathology, such as tau tangles and gross cerebral infarcts. The analysis was based on data from three ongoing longitudinal clinical pathologic studies of older patients who at the time of enrollment were at least 50 years old and did not have cognitive impairment. Every year, study participants underwent a battery of 19 cognitive tests, including measures of episodic memory, semantic memory, and working memory. At every annual exam, they were also asked how often they had trouble remembering things and how their memory compared to a decade before. The use of epidural corticosteroid injections is increasing. To review evidence on the benefits and harms of epidural corticosteroid injections in adults with radicular low back pain or spinal stenosis of any duration. The review concluded that epidural corticosteroid injections for radiculopathy were associated with immediate reductions in pain and function. However, benefits were small and not sustained, and there was no effect on long-term surgery risk. Limited evidence suggested no effectiveness for spinal stenosis. 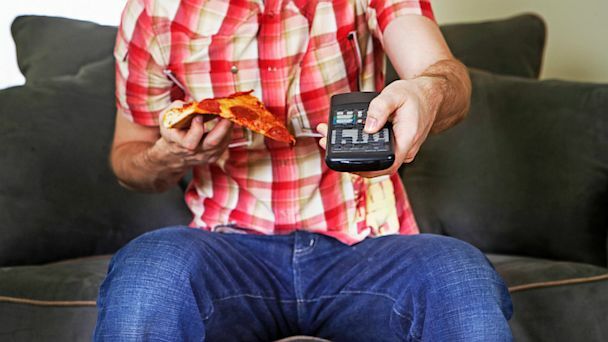 Is TV Lethal or Just a Marker for a Sedentary Life? People who spend more than 5 hours a day watching television appear to be at an increased risk of suffering fatal pulmonary embolism, researchers report. In a study that included more than 86,000 people in Japan who were followed for about 20 years, the risk of pulmonary embolism was 6.49 times higher for people who spent 5 hours or more in front of the tube compared with people who watched TV less than 2.5 hours a day. The greatest risk was observed in people ages 40-59. In the overall population of 40-79 years, however, the risk still was 2.36 times greater for people watching TV for 5 hours or more. Antibiotic use was associated with an increased risk for type 2 diabetes in a new population-based, case-control study. Data from three national Danish registries revealed that prior exposure to antibiotics was associated with a 53% increased risk of developing type 2 diabetes. The finding could mean that antibiotics play a direct causal role in type 2 diabetes or that people with as-yet-undiagnosed diabetes may have a greater risk for infection and therefore are more likely to use antibiotics. Clinically, the findings add a new argument to the current movement toward less frequent and more judicious use of antibiotics. Microbiologists frequently remind clinicians not to overuse antibiotics because of the growing resistance problems and inadequate development of new antibiotics. If it appears that antibiotics also have long-term and potentially negative metabolic adverse effects, it of course puts additional weight behind a strict policy for antibiotics prescribing and selling. This is an "important paper" and a "very well-conducted large-scale study" that provides further evidence of the importance of gut microbiota in human health and disease. "The results are consistent with a growing body of data that antibiotics affect metabolism though their 'collateral' effects on the micro biome." Another study shows physical medicine gets acute lower back work compensation patients back to work faster than taking opioids. More positive findings on standing MRI. This study is from 2013 but young athletes that reported neck pain and headaches or dizziness in preseason were more likely to suffer a concussion. For pregnant women who are at low risk for delivery complications, newborn and maternal outcomes are similar for obstetric deliveries by family physicians and obstetricians, according to a retrospective, population-based cohort study. A study of 33 children's hospitals has found that use of computed tomography (CT) for the 10 most common diagnostic groups in children decreased from 2004 to 2012. Tools newly approved by the US Food and Drug Administration (FDA) to measure and monitor cognition aim to make in-office cognitive assessment faster and simpler. One of these is Cognivue (Cerebral Assessment Systems Inc), a computer-based tool designed to better and more easily assess, measure, and monitor brain function to detect early signs of dementia, according to a company press release issued in June at the time of FDA approval. The noninvasive tool is sufficiently unique that the FDA has created a new class of devices, designated "cognitive assessment aids," the statement notes. White race is associated with a substantially higher risk of incident atrial fibrillation (AF) compared with blacks, and systemic inflammation contributes to a significant proportion of that heightened risk. 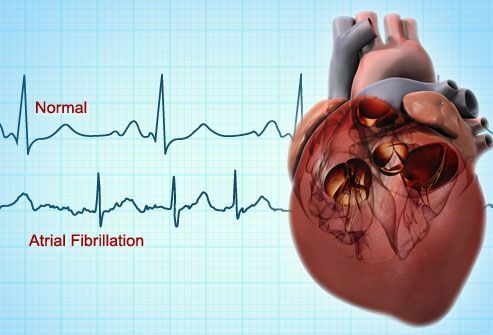 "Even though AF is the most common arrhythmia, we still don't really understand why people get it. We know what certain risk factors are, but the root cause of it remains unknown … we don't understand the underlying mechanisms." Doctors often prescribe statins for people with high cholesterol to lower their total cholesterol and reduce their risk of a heart attack or stroke. 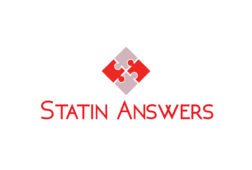 Most people taking statins will take them for the rest of their lives unless they can achieve normal cholesterol levels through diet, exercise, weight loss and nutritional supplements. 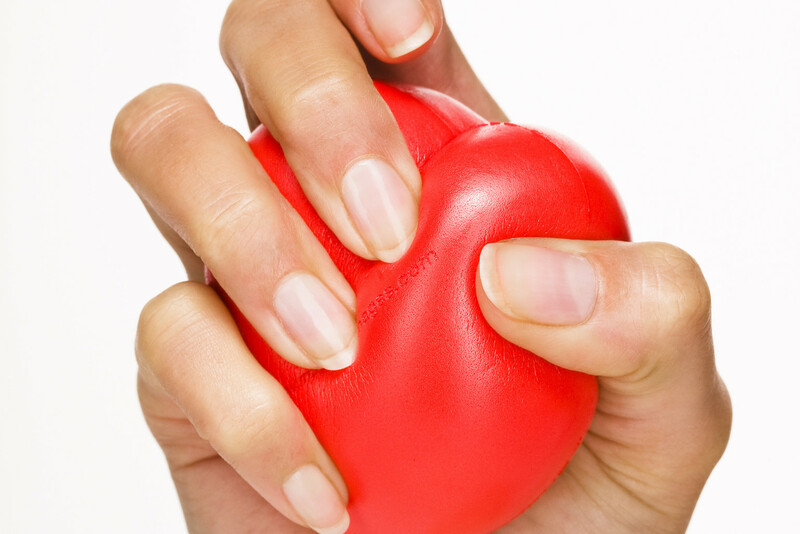 The most common statin side effect is muscle pain. This pain may be felt as a soreness, tiredness or weakness in the muscles. The pain can be a mild discomfort, or it can be severe enough to make daily activities difficult. For example, you might find climbing stairs or walking to be uncomfortable or tiring. Consumption of saturated fats is not associated with all-cause mortality, cardiovascular disease, coronary heart disease (CHD), ischemic stroke, or diabetes. In contrast, however, consumption of trans fats is associated with all-cause mortality, total CHD, and CHD mortality, according to a systematic review and meta-analysis of observational studies. Fetal electrocardiographic (ECG) monitoring used in conjunction with conventional fetal heart rate monitoring did not reduce complications during childbirth, according to a large U.S. clinical trial funded by the National Institutes of Health. The additional monitoring did not reduce the risk for a composite of outcomes including fetal and neonatal death, and it did not significantly impact the rates of cesarean or operative delivery, a team of investigators from the Baylor College of Medicine in Houston, reported. 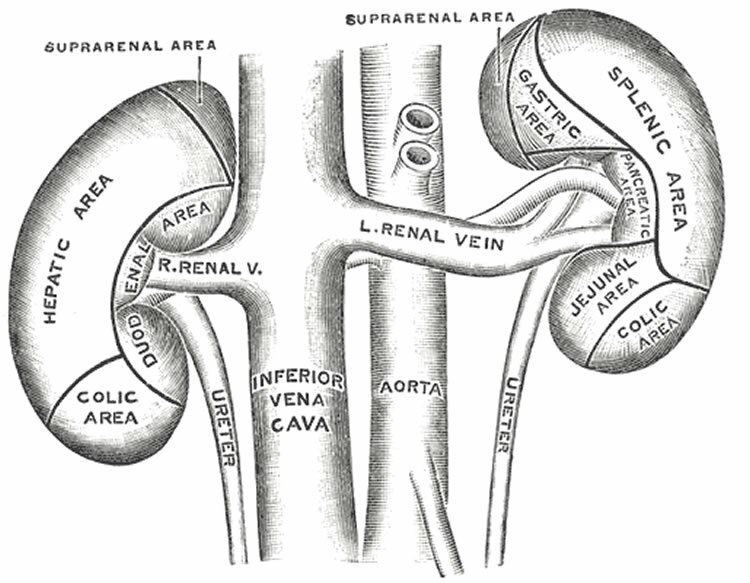 suggests a link between kidney impairment and brain disorders. Impaired kidney function may lead to decreased blood flow to the brain, and ultimately to the occurrence of stroke or dementia. 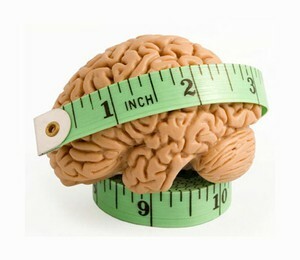 The findings suggest that maintaining optimal kidney health can provide benefits to the brain. 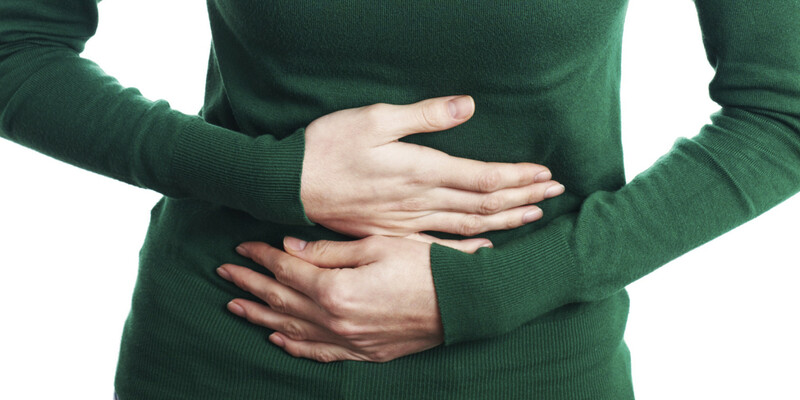 The purpose of this study was to examine the effects of connective tissue manipulation (CTM) on the severity of constipation and health-related quality of life in individuals diagnosed with chronic constipation. This study showed that CTM and lifestyle advice were superior to reducing symptoms of constipation and quality of life compared with lifestyle advice alone for patients with chronic constipation. Since doctors of chiropractic are recognized as primary contact neuromusculoskeletal specialists, most will have patients with undiagnosed MS come into their practices. Multiple Sclerosis (MS) is the most common disabling neurological disease of young adults, according to the National Institutes of Health (NIH), most often appearing when people are between 20 and 40 years old. However, it can also affect children and adults over 40. The MIND diet ― a hybrid of the Mediterranean diet and the Dietary Approaches to Stop Hypertension (DASH) diet ― may slow cognitive decline in elderly adults, according to researchers. In an observational study, elderly people who rigorously followed the MIND diet were 7.5 years younger cognitively during a period of roughly 5 years than those with the poorest adherence. "MIND" is an acronym for Mediterranean-DASH Diet Intervention for Neurodegenerative Delay. Both the Mediterranean and DASH diets have been found to reduce the risk for hypertension, myocardial infarction, and stroke. It seems that there is an increasing amount of evidence linking the brain and immune system with the function of the gut. This study indicates that Parkinson’s Disease is less common in those who have had their vagus nerve severed than in those who have not indicating "a primary pathological process being initiated in the gastrointestinal mucosa, which then uses the vagus as a major entry point into the brain." A large Danish epidemiologic study supports the theory that Parkinson's disease (PD) may begin in the gastrointestinal tract and spread through the vagus nerve to the brain. Researchers found that patients who have had the entire vagus nerve severed were less apt to develop PD. The Mediterranean diet may help preserve structural connectivity in the brain in older adults, results of a French study hint. Greater adherence to the Mediterranean diet was associated with preserved microstructure in extensive areas of the white matter up to a decade later, the study team found. And this appeared to be related to strong cognitive benefit, equal to up to 10 years of delayed cognitive aging for those with the greatest adherence, they say. Research is beginning to indicate that moderate blood pressure fluctuations over several office visits may indicate an increased risk of cardiovascular issues. Variations in visit-to-visit blood-pressure readings can help identify high-risk patients. Recently a report focused on how less intervention is more when it comes to back pain. 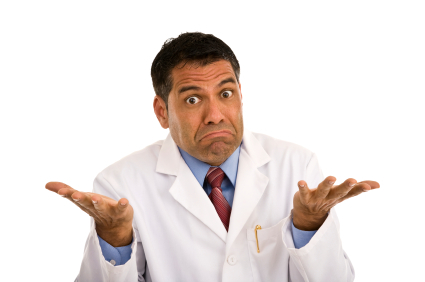 The report gave suggestions on reassuring patients when not ordering unnecessary tests and treatments for back pain, however what are the data on reassurance -- defined as "something the therapist does, with the aim of reducing anxiety and changing beliefs and behaviors?" How should clinicians do it? Could it backfire? The purpose of this study was to provide a narrative review of the literature of studies describing the management of disorders of the gastro-intestinal (GI) tract using ‘chiropractic therapy’ broadly defined here as spinal manipulation therapy, mobilizations, soft tissue therapy, modalities and stretches. In the report on this recent study sitting resulted in increased BMI, waist circumference, fasting plasma glucose, triglycerides, 2-hour plasma glucose, and lower HDL. Replacing 2 hours of sitting with stepping was associated with lower BMI, lower triglycerides and higher HDL. This study indicates that patients receiving mobilization with movement for shoulder impingement syndrome had better outcomes than those who received a sham treatment. An imaging study of participants at risk for Alzheimer's disease (AD) has found that insulin resistance was associated with lower regional cerebral glucose metabolism, and that "this information will be central to developing prevention and treatment therapies centered on insulin dysregulation." Diabetes may be an independent contributor to osteoarthritis (OA), and vice versa, a literature review and meta-analysis has suggested. This analysis demonstrates an association between diabetes and OA. The purpose of this case report is to describe a patient who presented with acute musculoskeletal symptoms but was later diagnosed with multiple deep vein thrombosis (DVT). OA: Time to Change the Paradigm? Despite the prevailing concept that pathologic changes in cartilage are an initiating event in knee OA, evidence to support this is lacking. In fact, recent studies have implicated damage to the meniscus, bone marrow changes, and synovial activation as early pathogenic processes. In an editorial accompanying a recent study on knee OA argued against continuing with the paradigm of knee OA as being "primarily a degenerative disorder of hyaline articular cartilage." For Fibromyalgia and Lumbar Spinal Stenosis, Nonpharmacologic therapies have effects the same as or superior to surgical intervention or drug therapy new studies report. The U.S. Preventive Services Task Force plans to recommend that all adults should be screened for depression at routine clinic visits, irrespective of whether the healthcare provider is able to provide depression care or support. Gadolinium-enhancing contrast agents used in MRI imaging may build up in the brain after repeated scans (4 or more). It is unknown if this poses adverse health effects. Evidence-based Guidelines for TBI “Didn’t Have Better Outcomes"
In hospitals, following evidence-based guidelines for treating Traumatic Brain Injury does not ensure better outcomes. Chemotherapy administered near death makes "quality of life" and "quality of life near death" worse. Equating treatment with hope is inappropriate. The battle analogy portrays the dying patient as a loser and should be discouraged. Non-surgical nasal balloons are helpful in “glue ear” (otitis media with effusion– OME). Fewer than 1% of obese people will attain normal weight, a new study suggests. Those chances are about 1 in 210 for obese men and 1 in 124 for obese women. And the news is even worse for those who are extremely obese: for them the chances of bringing BMI values into the normal range are 1 in 1,290 for men, and 1 in 677 women. But chances of achieving clinically significant weight loss, at least 5% of body weight, in the morbidly obese were somewhat better although still low: 1 in 8 for men and 1 in 7 for women. This study involved data from more than 75,000 men and nearly 100,000 women who hadn't undergone bariatric surgery and who were followed for up to 9.9 years. A new study demonstrates that foot and ankle pain, affects about a quarter of patients suffering knee osteoarthritis (OA), with such pain exacerbating knee OA-related pain, symptom severity, and physical function. "This finding highlights the fact that clinicians should consider evaluating the foot and ankle in people with knee OA and provide interventions for foot pain, if present," wrote the authors. With international guidelines now recommending that clinicians identify and address different clinical OA characteristics, a greater understanding of the clinical presentation of patients with concurrent knee OA and foot pain is needed, according to the authors. To date, no study has explained the relationship between foot pain and knee OA-specific symptoms or function, they said. The finding gives researchers a novel approach to understanding diseases and strengthens the bridge between neuroscience and immunology. Previous speculations about the association of immune system and disease processes become fair game with this newfound appreciation of the brain’s connection to the immune system. Scientists predict that in the next decade we will be on our way toward achieving an understanding of the neuro-immune system that matches the depth and breadth of our knowledge of the peripheral immune system; we’ll be seeing new ways of using peripheral pathways to hack into brain function and behavior, to treat symptoms of neurological disease. Neuroscience and immunology now have even greater reason to collaborate. These findings are going to crack open the chasm of the field of neuroimmunology in a wonderful way, Immunologists and neuroscientists have been politely ignoring each other for far too long. The FDA said it is investigating all use of codeine-containing cough syrups in children under 18, due to the drug's potentially life-threatening side effects such as respiratory depression. In 2013, the agency recommended these products not be used for children following tonsillectomy and/or surgery on adenoids due to slow or difficult breathing associated with its use. But the European Medicines Agency issued a much stronger statement in April, saying cough syrup with codeine is now contraindicated for all children under 12, as well as for those 12 to 18 with asthma or chronic breathing problems. Is Your Nervous System Being Hacked by Bacteria in Your Gut?